The 66th death anniversary of Piyadasa Sirisena fell on May 22. Born in 1875, he was one of the most important figures in the non-formal struggle for independence from the British rule. But concurrently and before the final thrust for independence Piyadasa Sirisena was also an opinion builder and communicator who was dedicated to the revival of nationalism. In fact he played a vital role in this regard from the turn of the 19th century until the country was on the threshold of gaining freedom from colonial rule. Mahathma Gandhi and Jawaharlal Nehru battled against the British imperialism. Rabindranath Tagore, the Nobel laureate utilised another medium of communication, poetry, to raise the consciousness of the Indians towards reaching the cherished goal of freedom. When Czarist Russia was subject to brutal excesses it was novelists such as Leo Tolstoy, Maxim Gorky and Gogol who roused the people to fight tyranny. More recently the purges of the Stalinist regime were portrayed with telling effect by Alexander Solsetyen, the Russian author, in Gulag Archipelago, the monumental novel. The British through their religious missionaries were engaged in imposing a different culture on society and campaigns aimed at converting people to Christianity. Associated with such work was activity to discredit Buddhism. Through such efforts, the missionaries also cut a path that afforded more opportunities in education and employment to those who embraced the Christian faith. As opposed to the rising tide of anti-Buddhist activity to convert the people, a contra tendency gained ground in respect of Buddhism. This was primarily due to the differences that emerged in the sects. Buddhists looked at the developments with deep concern. The Catholic church in particular used a new instrument, printed booklets to convey the disunity among the Bhikkhus highlighting that Buddhism was a religion that discriminated against segments of its own followers. In particular, booklets were distributed by the Colombo Excelsior Bible Society numbering some 112,000, in support of the drive to convert people and discredit Buddhism. This was in addition to nearly 400,000 copies published between 1841 and 1844 by the Baptist Mission, the Sinhalese Tryne Society and the Wesleyan Mission with the same objectives outlined above. Given this climate of degrading a religion on which the very life of those in the island was based for over 2,000 years there emerged a modicum of resistance to the missionaries. The first Sinhala publications extolling the virtues of Buddhism and the history of the ancient land appeared in the mid 1800s. Lanka Lokaya published in remote Koggla was devoted to the cause of conveying primarily the great history of the land. This was followed by Lakmini Pahana and Sinhala Baudhaya. Subsequent to the early efforts a stronger form of resistance to missionaries and other anti-Buddhist work appeared. It was the Buddhist clergy some of whom knew the English language who began counteracting them. Three leading Bhikkhus of the time, Ven. Migettuwatte Gunananda Thera, Ven. Hikkaduwe Sumangala Thera and the Viharadhipathi of the Ambagahawatte Temple set about the task of counteracting the campaigns of the missionaries. The counter campaign gathered ground. But the missions backed by the State intensified their anti-Buddhist work. It was at the height of the tussle that Ven. Migettuwatte Gunananda Thera issued an open challenge to the Christian priests for a debate on the merits and demerits of each other's religion which was accepted by the latter. This led to the historic debate held in Panadura in 1873 which lasted two days and attracted islandwide attention despite the primitive facilities that were available at the time for communication. It aroused unprecedented interest and marked the beginning of the revival of Buddhism. It was clearly the turning point and a watershed in the history of Ceylon. The restoration of Buddhism began to proceed apace with the support forthcoming from an increasing number of people who were until then disappointed about the decline of the religion. Impressed by newspaper reports of the debate which even reached the United States, a theosophist named Henry Steele Olcott exchanged communications with Ven. Gunananda Thera. He then made a momentous decision to come to Sri Lanka. Ceylon was fortunate that the revivalist torch lit by Ven. Gunananda Thera and Colonel Olcott was kept burning brightly as a result of the emergence of perhaps the greatest revivalist of all, Anagarika Dharmapala. Few national leaders could match the communication skills and the persuasive power he possessed to convince people as much as the Anagarika. His contribution in this regard is widely known. He also paved the way for the entry of yet another communicator one of those whose impact was indelible in the cause of Buddhism and national regeneration. There is no evidence, whether Piyadasa Sirisena possessed genealogical strains which played a role in shaping his eventual career as a writer. But there is clear evidence that even as a nine-year-old he possessed literary skills and was able to recite a poem of his own creation at a meeting addressed by Anagarika Dharmapala in Bentota. It was the turning point of his life. After a brief stint as a Sub-Editor of a Sinhala tabloid which enabled him to cut his teeth in journalism he became the editor of yet another similar Buddhist publication. As he progressed in his chosen field, Sirisena's innate nationalistic instincts made him enter into the maelstrom of the Buddhist revivalist movement. Piyadasa Sirisena was bold and enterprising enough to publish a Sinhala newspaper - Sinhala Jathiya in 1905. He was also at one time Editor of the Sinhala Baudhaya published by the Mahabodhi Society. In most of his literary and journalistic work the central theme was nationalism revival of Buddhism, besides of course attacks against the British government. Piyadasa Sirisena wrote 20 novels of which the first Rosalyn and Jayatissa was the most successful having sold more than 25,000 copies just in two editions. No Sinhala novel of that era or later had been as successful as Rosalyn and Jayatissa. 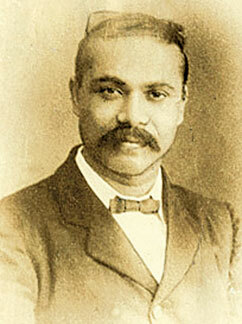 Piyadasa Sirisena also was the first novelist in the country to produce detective stories. He wrote five of these and one of them Dingiri Menika was made into a highly successful film in the mid 1950s. Besides novels he was also a poet of exceptional merit. Again the numerous poems he created were on Buddhist, nationalist and historical themes that evoked in the literate local populous a love for the nation. In a fourth category of literary work Sirisena wrote books which encompassed philosophical views. The spectrum of Piyadasa Sirisena's skills made him a prolific writer and opinion builder during the early years of the 20th century. His impact on the revival of national sentiment through his writings remains unmatched in the modern history of the country. We should also appreciate the astounding work capacity of Piyadasa Sirisena. It is said that at most times he slept four hours a day, educated a family of nine children and was the head of a printing establishment with 40 employees. This was in addition to the nationwide drives that he participated in work connected to the Temperance Movement. The writer is Honorary Secretary, Piyadasa Sirisena Commemoration Society.